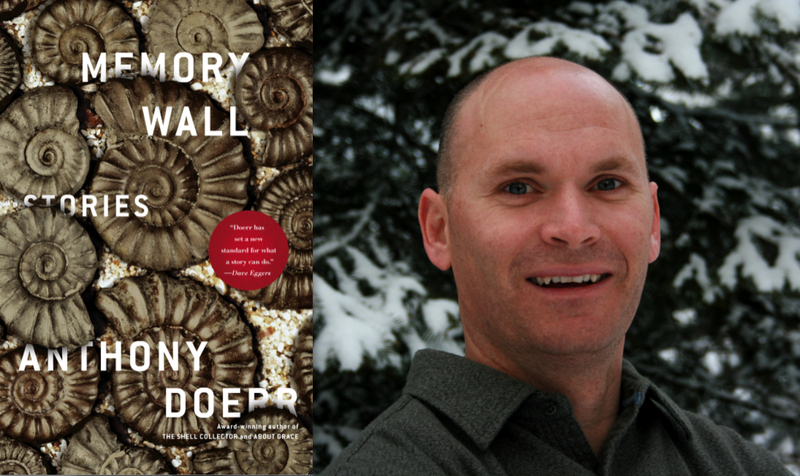 Anthony Doerr has won The Story Prize for his extraordinary collection of stories, Memory Wall, in which memory serves as a theme to connect six stories set in disparate times and places. Founder Julie Lindsey presented him with the $20,000 award and an engraved silver bowl at an event that took place at The New School in New York City on Wednesday night, March 4. The other finalists, Yiyun Lin for Gold Boy, Emerald Girl and Suzanne Rivecca for Death Is Not an Option, each received $5,000. All three authors read from and discussed their work onstage. More details will follow, including the judges' citations for all three books. A Web cast will follow on FORA.tv in a few weeks. We'll post photos from both the event and reception on The Story Prize Web site in the days ahead and will also link to notable press coverage. We're grateful to all three writers for their participation and, most of all, for their wonderful books. It was a pleasure meeting and talking to Tony, Yiyun, and Suzanne. And all three read beautifully, and we look forward to more great work from them.